Dimensions: W33.75" x D15.5" x H36.25"
100130 home bar is a unique transitional style unit made with fine craftsmanship. 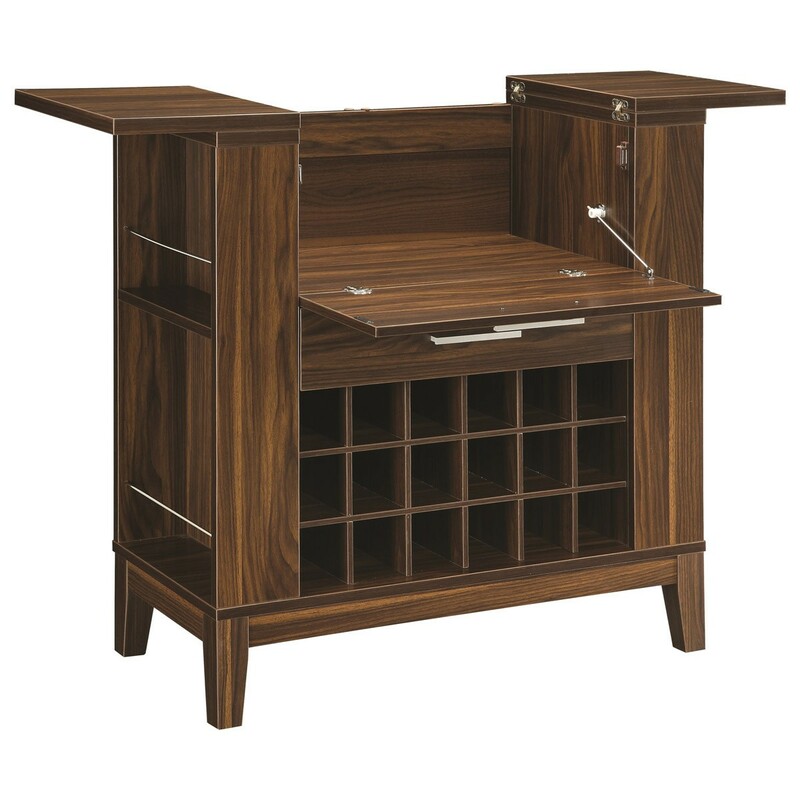 Constructed in walnut finish wood veneer it can be used as a cabinet or a serving bar. Two drop down leaves along with drop down front reveal more space for your drinks making. Compact in size this piece will not take lots of space and still gives your room the area that you need.